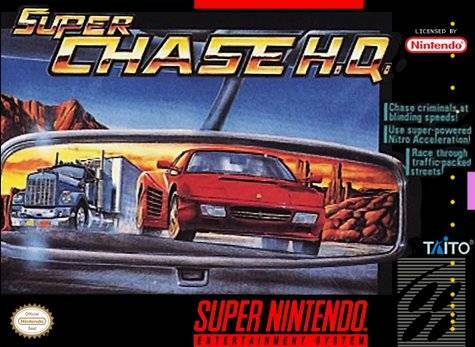 Super Chase H.Q. for Super Nintendo allows you to be a law enforcement officer and the city is running rampant with criminals that are partial to high-speed getaways. It's time to hop into your high-powered police cruiser and take to the streets in pursuit of some of the most daredevil-driving fugitives you've ever seen. Played from an in-car perspective, you'll race through the city at blinding speed as you hunt down the criminals and bring them to justice your way!